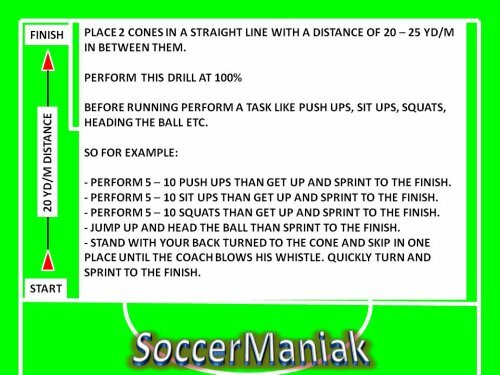 This soccer speed workout can be adapted to many other soccer training drills by adding different rules and a soccer ball. This cone set up can easily be applied to drills with the soccer ball, different runs for speed, agility, quickness and many other soccer skills. Set up 6 cones in a straight line. First to second cone 15 m/yds. Second to third cone 10 m/yds. Third to fourth cone 15 m/yds. Fourth to fifth cone 10 m/yds. Fifth to final cone 15 m/yds. 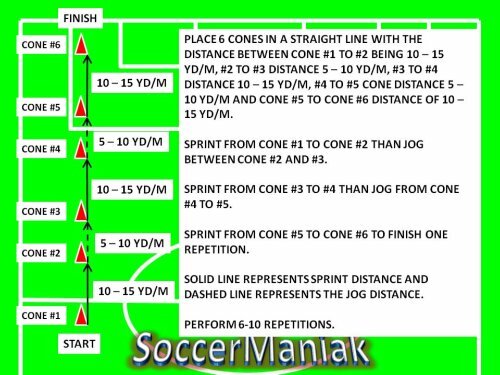 Players will sprint to the first cone, than jog between cone 2 and 3, followed with another sprint to cone four and jog from fourth to fifth. 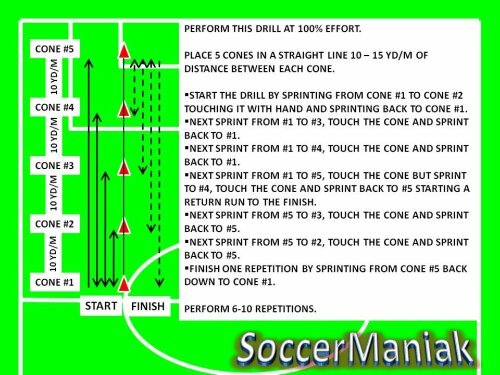 Finish one repetition with a sprint from cone five to cone six. This exercise is funny to put in words but simply sprint the long distance, and jog the two shorter cone channels. Get creative and add a soccer ball, or back pedaling instead of jogging. 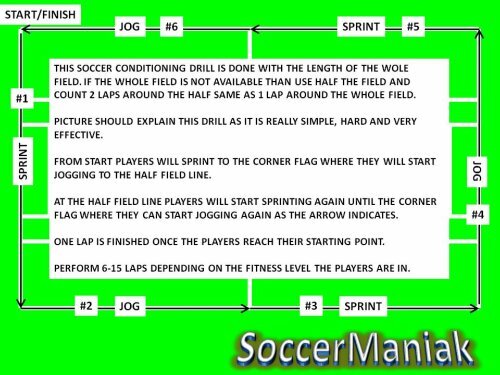 Or have players sprint full speed to the third cone, back to second, forward to the fifth and back to fourth with finish at the last cone. Get creative and add different rules to make the exercise better and more engaging.